Russ & Roxanne Scully Bring Surfing to Burlington, VT | EasternSurf.com | All East Coast. All The Time. 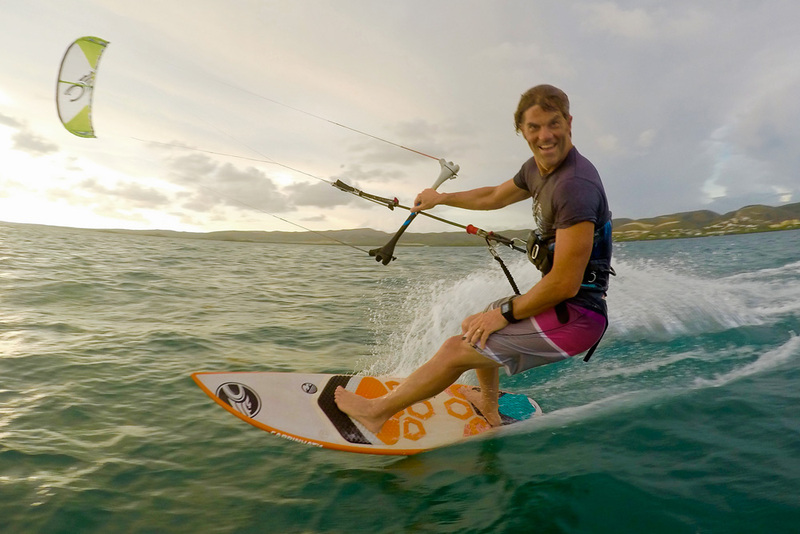 Russ switches easily between surfing, windsurfing, competitive SUP, and kiteboarding, but it’s his creative energy, entrepreneurial spirit, and strong web design background that give him an edge. ESM visited Scully at WND&WVS to talk more. ESM: Tell us about how your surfing background, Russ. 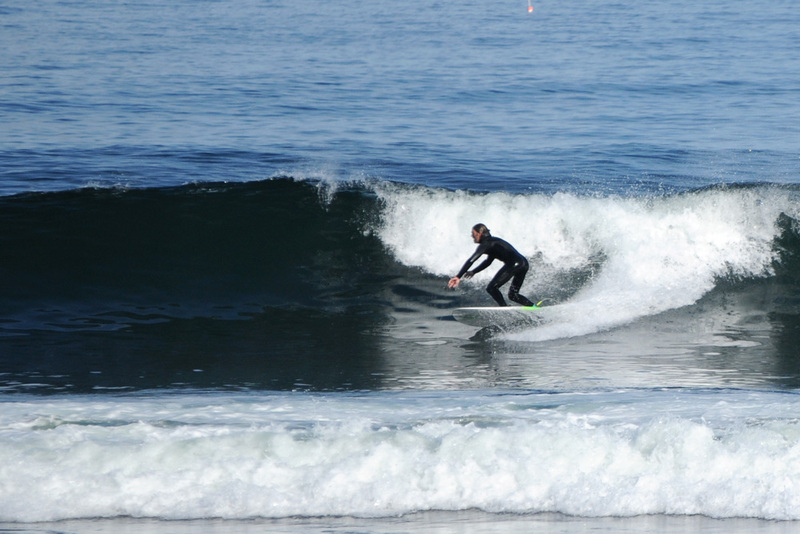 Russ Sully: I caught the bug at age 15 on a Cream board that was broken in half from Ocean Hut in New Jersey. I loved that board. I’d bought it from my buddy Tom for 40 bucks, and my other buddy Ted looked at it and said, “We can fix this.” So lots of epoxy later, I was catching my first wave in Bay Head. The 3 of us surfed different parts of the Jersey Shore every weekend. We got really into it. We stayed in touch after graduation, which was not too hard since Ted was at St. Lawrence with me and Tom was at Trinity. We made a pact that we’d all go to California to surf after graduation. I kept on them — I meant it. Roxanne joined in, since she and I had started dating our senior year. I packed up a huge panel truck and went around collecting furniture from our parents’ houses and then drove it cross-country with Roxanne. Tom and Ted had flown ahead to Santa Barbara and found us this cool little ranch house. I fell in love with the surf culture up there. It further cemented the surfing bug I already had. So we all got entry-level jobs. Mine was in desktop publishing. I was doing graphic design for a local printer using tree-trunk size paper rolls on a huge web press. It was pretty wild. I got really into computers and graphic design, riding the wave from print to digital to online. ESM: How did you land in Burlington, VT? RS: After six years chasing surf up and down the California and Baja coasts, Roxanne and I got engaged and wanted to be closer to family as we started our own. My parents were in Dorset, so we chose Burlington because it was a young, vibrant lifestyle town. We had no plans to stay long-term, but we grew roots. I’m in line to be Chair of the Burlington Business Association next year. We run some great community-based events like Stand up for the Lake, our most established. ESM: How does being in Vermont affect your business? RS: Being up here definitely makes us stand out. It defines us, but doesn’t limit us. Rox and I both feel strongly that our community has built the business. And as the biggest outfit here in Burlington, we’re the biggest in the state. Who knows — maybe other landlocked states can look at us and see that it’s possible. We are way up here, but we find surf and we never take it for granted. We cherish it because it’s always [takes] such a solid effort to get to it. People can see that this is our passion and they can relate. And when the surf isn’t good, we have our own SurfSet studio next door. Roxanne’s a great teacher, and it’s a fun workout with surf movies and a warm tropical feel. Because of where we are, the local community uses it to stay in shape for snowboard and ski season. 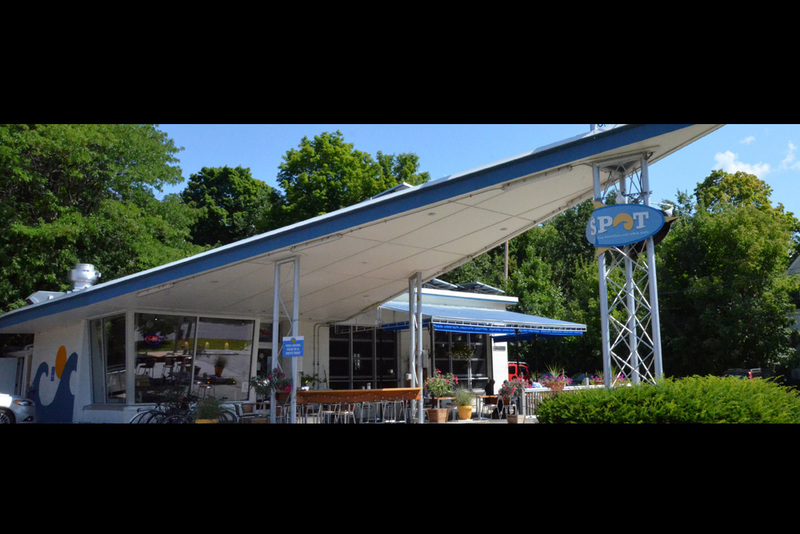 ESM: You started with a surf restaurant, The Spot. RS: It was our foray into the commercial real estate market back in 2009 and a place for us to pour all our bottled-up surf stoke. It’s an old Phillips 66 Batwing gas station, and since it’s on the National Historic Registry we had to keep it in its original form. We chose a surfy beach theme serving everything from ahi tuna to fish tacos, and there’s a surf photo wall made up of friends and family, just like the cool breakfast spot we loved in Santa Barbara. We made it a speakeasy with a cool vibe, so instead of a name on the exterior, it’s just got a logo. 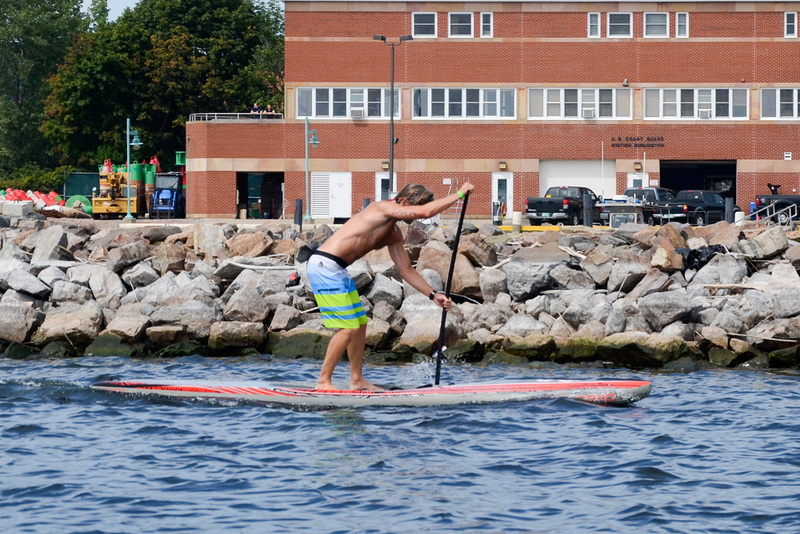 The beauty of The Spot is that it tapped into a niche market of other surf-starved Burlington residents. We had a bad restaurant review when we first opened up that almost sank us, but we learned from it and made a lot of changes, most importantly hiring Shannon Lipkin as our manager. And now the staff is like family to us. 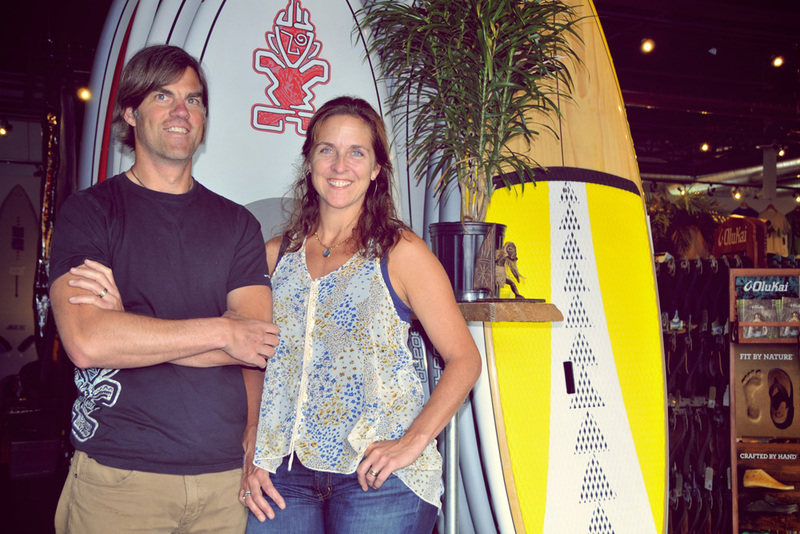 The Scullys’ surf-related business ventures kicked off in 2009, with local restaurant The Spot. “It’s an old Phillips 66 Batwing gas station, and since it’s on the National Historic Registry we had to keep it in its original form,” Scully says. ESM: What inspired you to open WND&WVS? RS: We’ve been driving out to New Hampshire to surf ever since we moved to Burlington in 1997. It’s this little wedge of coastline that’s popular, with surfers descending on it from Canada, Massachusetts, and Maine. Sure, the water is cold, but the surf is consistent, and there are pointbreaks, not just beachbreaks. After years of staying at the campground there, we finally bought a condo back in 2006. Our inspiration for WND&WVS came on one of our drives home, passing Cinnamon Rainbows Surf Company. We thought, “Hey, we could do that.” And as we learned with The Spot, it’s about having the right team in place. In this case, it’s Ali. It’s always about the people. We couldn’t have this many projects going if it weren’t for the good people we have in place running them, and in our case it’s a lot of really terrific women. We started selling boards out of our restaurant, The Spot, which got pretty awkward. But demand for the boards was good and we sold out fast, so creating retail space made sense. WND&WVS got its own brick and mortar in 2012, and we’ve been having fun, especially Roxanne adding in all the apparel and surf lifestyle stuff. It’s been so great to work with the dealers and has led to some incredible opportunities, like our recent podcast with Laird Hamilton. ESM: Who deserves credit for your decision to open a shop catering to all watersports enthusiasts? RS: Rachael Miller. She’s a really special person and in 2008 was the only one selling SUP boards on the lake. She taught me how to kite. My friend Sarah Tuff Dunn ran a New York Times article the next summer and had me demo different boards for the article. 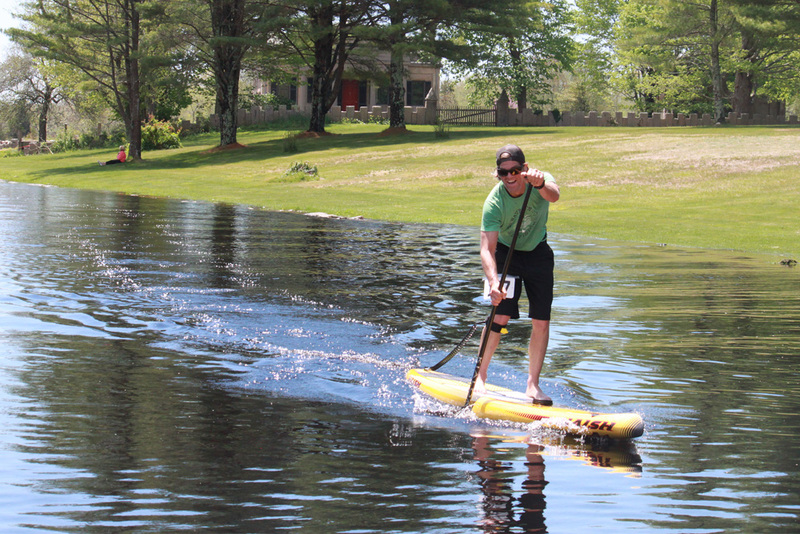 I got really into competitive SUP, and Sarah’s article got the ball rolling for me to enter the SUP retail market in Burlington. ESM: Your latest business is a surf resort hotel in Rincon, right? RS: Rincon is our secret obsession. Elizabeth, who helped us out at WND&WVS for a summer, moved back there. It was her idea that we could start running winter surf trips to Rincon. 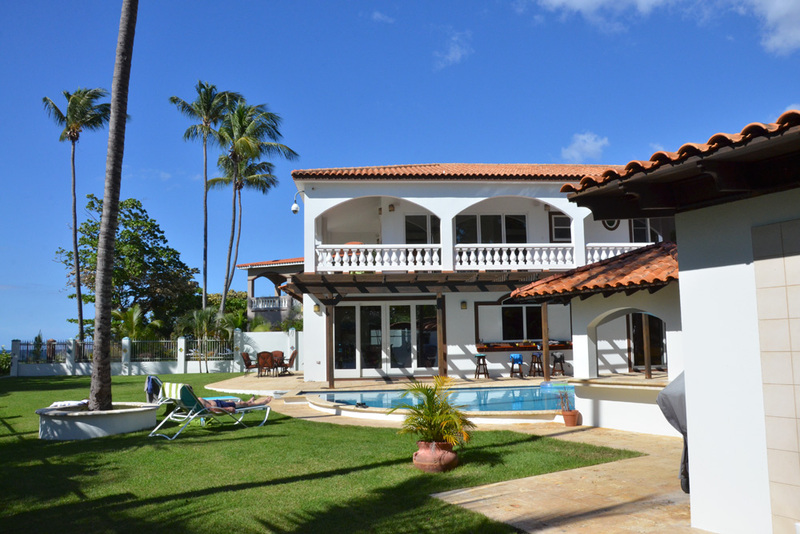 Elizabeth is now our full-time property manager at Villa Playa Maria. We initially marketed monthly surf trips from Burlington. We boxed up 10 paddleboards and shipped them to Rincon to create a fleet. It was a success, so we got a realtor, and it came together pretty quickly after that. We’re sponsoring the American Windsurfing Tour and hosting Chuck Patterson and Jeff Clark at our place in Rincon in November. We’re really having a blast. I feel so fortunate to be able to do all of this. ESM: Describe your perfect day on out on the water. RS: Every day that I’m out there with friends is the best, no matter if it’s 2 feet or 20. But the best days are really when the kids are out there. Having them surf the whitewater of the Hurricane Bill swell in New Hampshire in their first wetsuits was a perfect day. 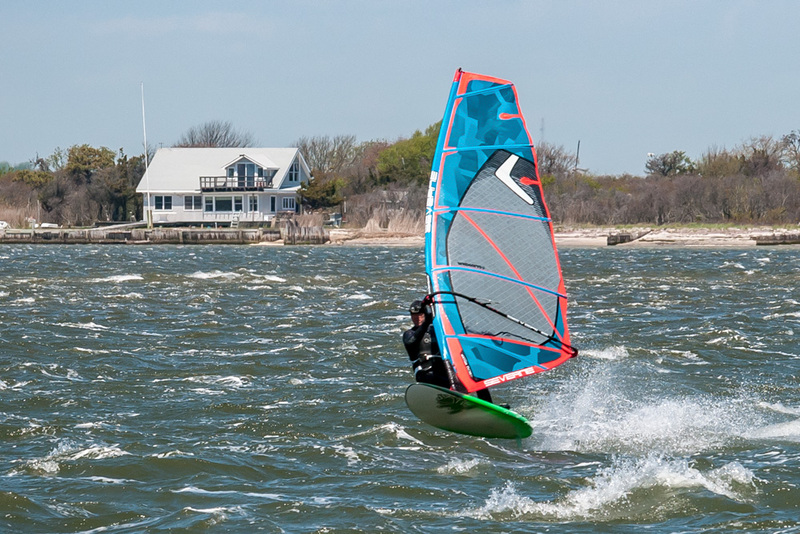 And now that they are older, this past April was a real “switching over” for the all the kids in our annual windsurfing camp trip to Hatteras. For me, the reef in Cabarete, Dominican Republic, is the best. It’s the triple play, where I can surf, kite, and windsurf all in the same day. ESM: What does the future hold for you and for WND&WVS? RS: We just want to keep growing the brand and seeing how far it can take us from its roots of being a small surf shop in a landlocked state. Yes, it’s iconoclastic, and even sophomoric. It’s this tongue in cheek nature of, “We’re a little surf shop in Burlington, Vermont” that makes it so fun. It’s not what you would picture. We see it as an interesting place to start that enhances the whole story. Opportunities will keep presenting themselves and we’ll have fun looking at each one. If you had told me when I was just a surf-stoked teenager in New Jersey that one day I’d be living in Vermont, sponsoring Chuck Patterson, and hosting talks with Laird, I would have said you were crazy. But we just keep asking questions, seeing how far we can go, and basically just living the dream.